"In the Philippines, one of three children suffers from stunted growth due to hunger and malnutrition, and this means that they won't be able to reach their full potential. 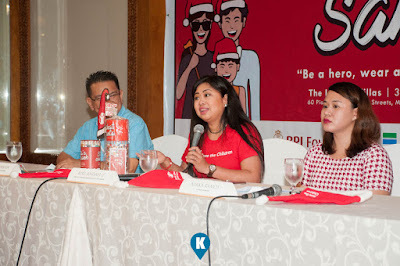 Poor families struggle to feed their children and its estimated that 1.5 Million Filipino children go to sleep hungry every night, not having eaten a thing all day, " says Dr. Amado Parawan, Save the Children's Health and Nutrition Advisor. 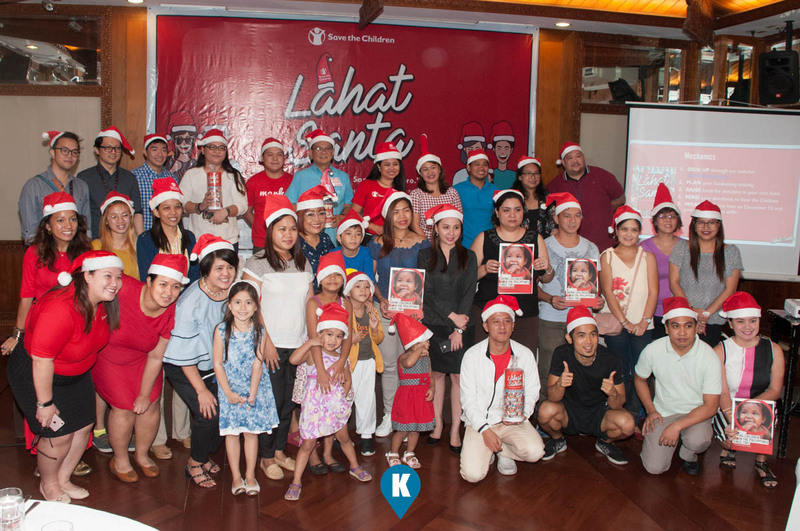 Lahat Santa is a fun way to celebrate Christmas! 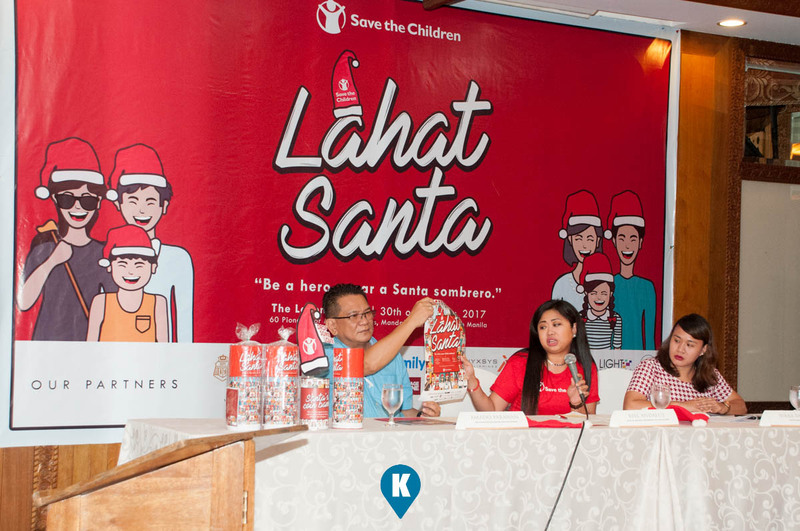 Save the Children encourages individuals, schools and companies to wear their Santa hats, raise funds in their own creative way and make the holidays much more meaningful by donating to Save the Children's programs. 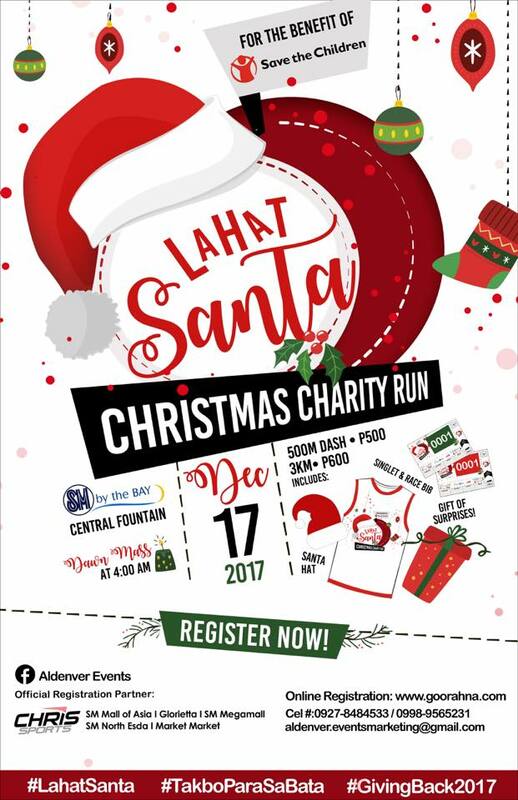 Upon signing up on www.lahatsanta.ph, participants get a free fundraising kit which includes a coin bank, Christmas poster, and a a Santa hat. 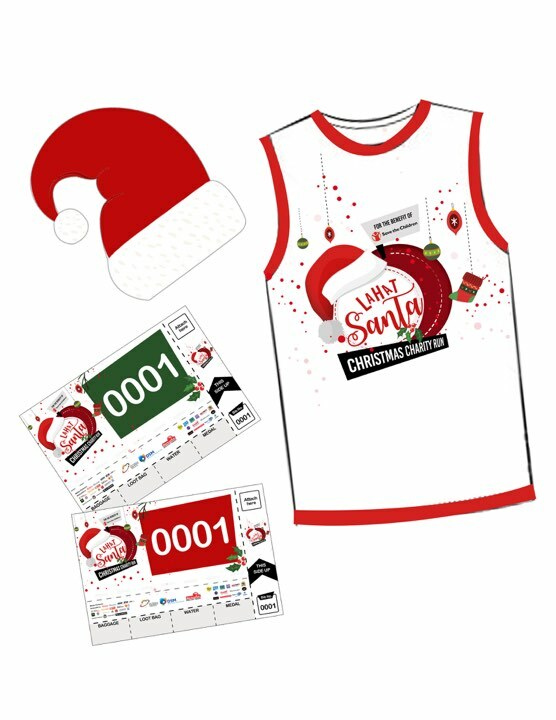 The kit includes ways you can fundraise, from bake sale to the good old Christmas caroling - it is up to the participants to spread the cheer. 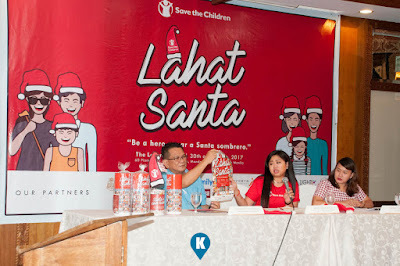 Once you get the kit, On December 15, Save the Children calls on participants to put on their Santa Hats and shout out on social media how they are fundraising for Save the Children using the hashtag #LahatSanta. The fun does not stop there, on December 17, a fun run will be organized to benefit Save the Children's Christmas campaign. 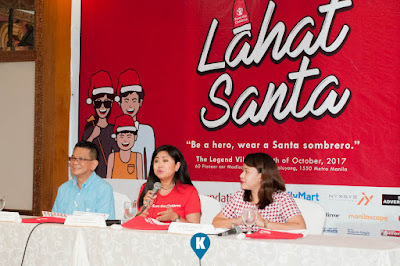 Filipino artists and influencers such as Ria Atayde, Bianca Guidotti, jeushl Wensh Tiu, and Trish Ramos have also expressed interest in the campaign. 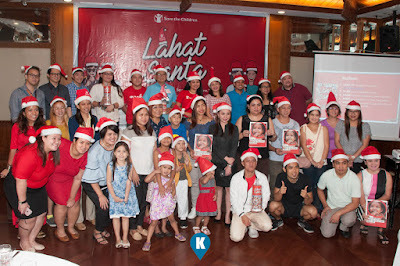 Many reputable companies have also come together to support the Save the Children's campaign, including BPI Foundation, Family Mart, Strong Media Advertising Solutions, Inc., Light Network, Nyxsys, OLX, ANC, Business Mirror, Page One, Manila Scope, Philippine Graphic, Lamudi, Manila Times, Manila Bulletin, Manila Business Insight, Pilipino Mirror, Zen Health and When in Manila. For more information about the LahatSanta campaign. See the link.